This is a sponsored post written by me on behalf of The Quaker Oats Company. All opinions are 100% mine. On cold winter mornings, there is nothing worse than realizing someone was playing with the thermostat and set it to 56° or below. The temperature causes your cozy bed to call your name. Your cozy bed is calling and you must go get back in and embrace the warmth, at least until the house warms up a little more. Sadly, most mornings don’t afford the luxury of curling up under the covers and enjoying the warmth of cozy beds. Instead, we spring out of bed at the sound of children in the pantry making breakfast on their own. While making breakfast on their own is a huge milestone, we know that if left unsupervised, it will either end in victory or by having a gallon of milk spilled across the kitchen table, dripping to the floor. Some mornings, both will happen. We can all agree, kids or no kids, winter is cold. Colorado winters are a whole different ballgame than North Carolina winters. As we begin our second winter in Colorful Colorado, I realize that I’m in denial. Picture this. At Kindergarten pick-up yesterday, there was snow on the ground. All the parents were dressed in their snow boots, winter coats, hats, gloves. They were bundled up and chatting with each other like it was a warm, Summer day and everything was cheery. They were warm. Then you have me. Fleece jacket and canvas shoes. It was freezing and my feet were cold from chasing the three-year-old through the snow-covered grass. While I could get away with fleece jackets and canvas shoes in North Carolina, that is not Colorado winter apparel. Learning to stay cozy during the winter months isn’t that hard, but you have to be prepared. Have the right gear. Unless you live in Florida, there should probably be a winter coat, scarf, gloves, hat, and snow boots in your closet. While there have been times when I thought these items were frivolous, they are a necessity, as I am learning. 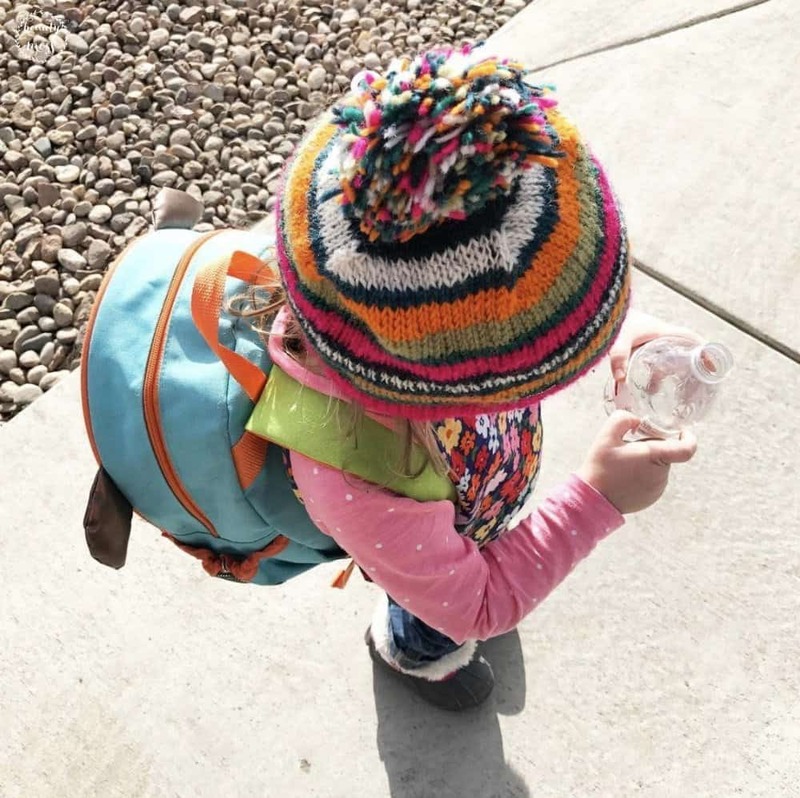 The right winter gear can make the difference in whether you are standing in the cold freezing during school pick-up, unable to talk due to your chattering teeth, or standing with the other parents chatting like the ground isn’t covered in snow and it’s 28° outside. Blankets. Pull out all the blankets. They aren’t just for decoration. So far, none of the places we have lived in have had a fireplace, so blankets abound. They are warm, cozy, and help take the edge off the chill in the air as the sun sets. There’s nothing quite like curling up on the couch after a long day, huddled up under a soft, cozy blanket, and chilling. Drink hot beverages. Hot tea, coffee, hot chocolate, bone broth, whatever you drink in the morning, make it hot. It will help warm up your body and wake up a little easier. Of course, these aren’t just drinks for the morning. Anytime we come in from outside, or if I’m feeling cold in the house, I’ll put on some hot water and drink hot tea to take the chill off. Candles. There’s just something about candles that make any room feel warm and cozy as the flicker. Light a candle with your favorite Fall or Winter scent and enjoy watching the flame dance as you decompress after a long day. Eat warm foods. There is a reason we crave soups and stews during the winter months. They keep us warm and satisfied. I’ll add oatmeal to this list. 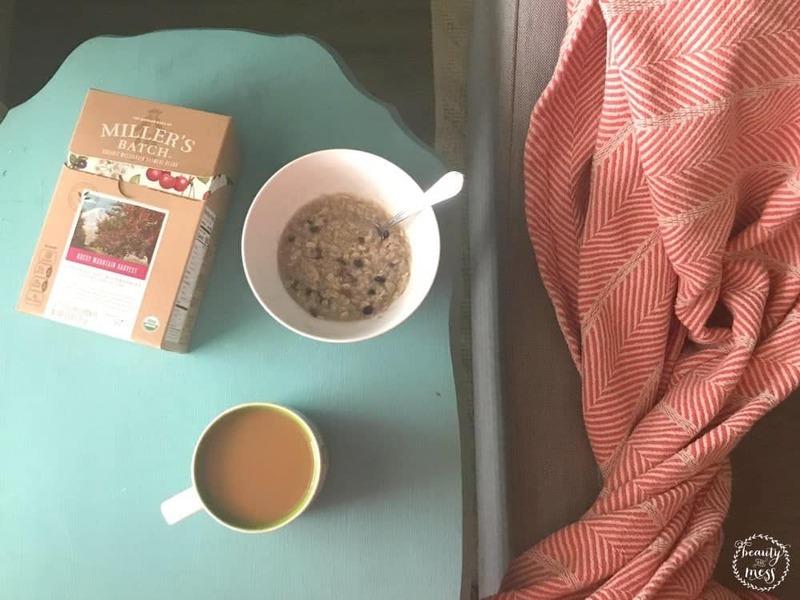 One of my favorite quick and easy meals on cold days is oatmeal and hot tea, sometimes coffee if it’s breakfast. It warms me up and helps keep me feeling full. One of my favorites is Miller’s Batch™ from Quaker. The Rocky Mountain Harvest is delicious with its blend of cherries and blueberries. 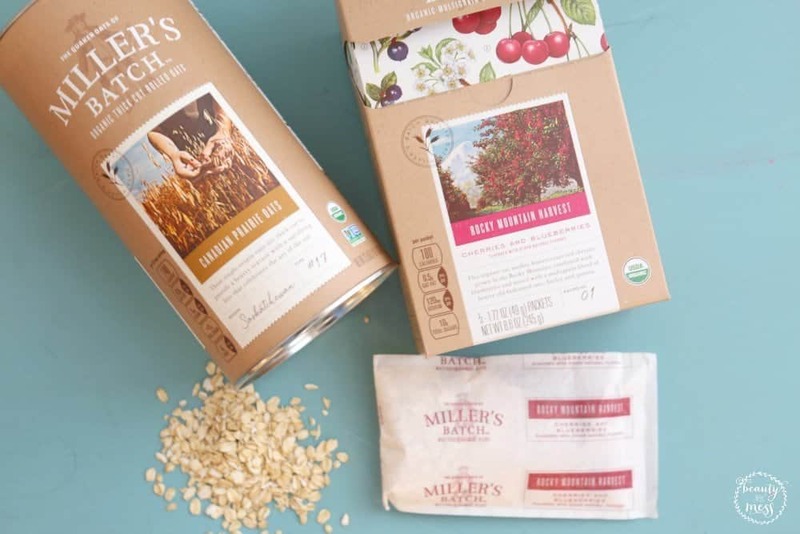 In the spirit of Quaker’s founding fathers and their 140 years of rich heritage and passion for oats, they have forged partnerships with other artisans passionate about their craft, from their network of small farmers to next-generation millers. Quaker has masterfully milled and roasted the organic oats from one Canadian farm in small batches before mixing the oats with hand-harvested raisins and sun-dried almonds from California’s Central Valley, and tart yet sweet organic Montgomery cherries grown in the foothills of the Rocky Mountains in Utah before bringing them to your table. You know it’s special when it’s only available in two locations – Michigan and Colorado. 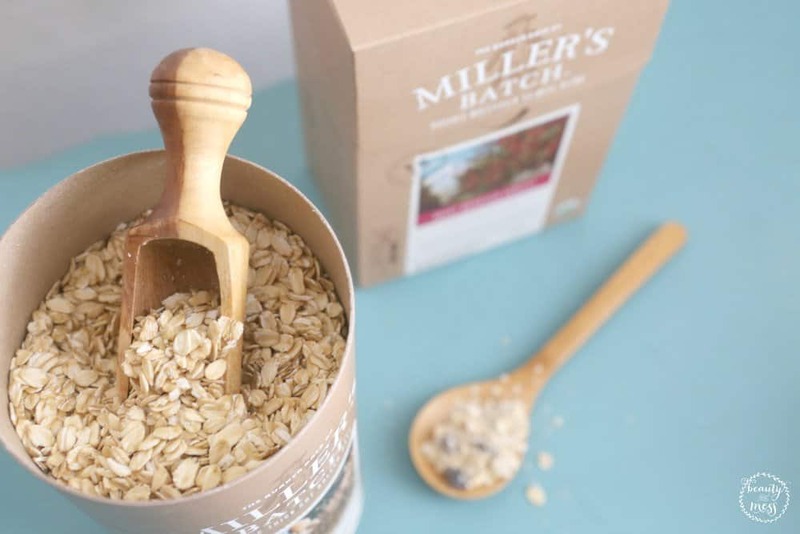 Miller’s Batch™ Oatmeal comes in three varieties: Canadian Prairie Oats, California Valley, and Rocky Mountain Harvest. While all three are available in Colorado, Rocky Mountain Harvest is not available in Michigan. You know you have a great product when people randomly comment on it when visiting your home. 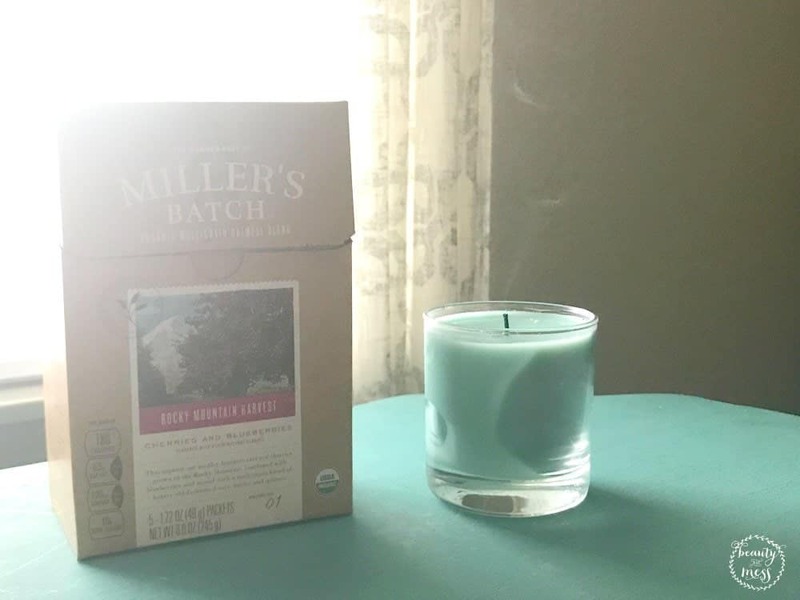 We had Miller’s Batch™ Canadian Prairie Oats and Rocky Mountain Harvest sitting on our counter and while my mom was recently visiting, she was in the kitchen and commented on how beautiful the packaging was. Not only is the packaging high quality and beautiful, the oats and ingredients inside are top-notch. As you try and stay cozy this winter, don’t forget to breathe. We tend to go and go and go until we are running on fumes. Take time this winter to rest. Recharge your internal batteries and take time for you. Find a good book to read, light a candle, curl up on the couch under a cozy blanket, and breathe.